We have achieved success by constantly pushing the limits and preconceptions about what is possible in the world of plastics. The diversity of our clients and markets has allowed us to research and develop superior methods to design and fabricate plastic parts, products, displays, furniture and conservation cases. We pride ourselves in our unique ability to meet our clients’ challenges and find solutions that our competitors cannot. 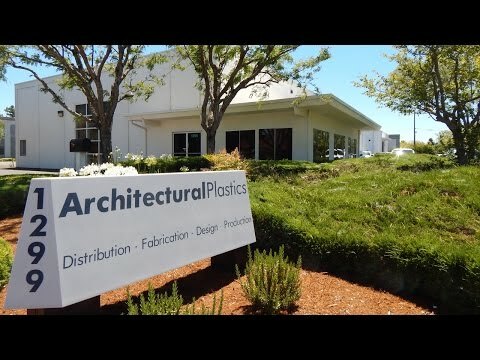 Architectural Plastics designs and fabricates finished items, parts and displays for other manufacturers, businesses and private clients. Below is a diverse collection of projects we completed by overcoming challenges that other plastic fabrication companies were unable to solve. When a distinguished wine collector wanted something unique for his residential cellar, the architects at Butler Armsden turned to Architectural Plastics. To give a more dramatic impact to the presentation, Island Creative chose Architectural Plastics to manufacture giant test tubes within four days to meet Google’s aggressive deadline. A custom interior designer chose Architectural Plastics to fabricate the base of this unique and beautiful table. Architectural Plastics was contracted to replace the existing light fixtures at Monona Terrace in picturesque Madison Wisconsin with more robust fixtures that would last longer.